Attention residents of Central New York and the Southern Tier: we heard you, we’re here to make your lives easier. Your local airport just got even better. 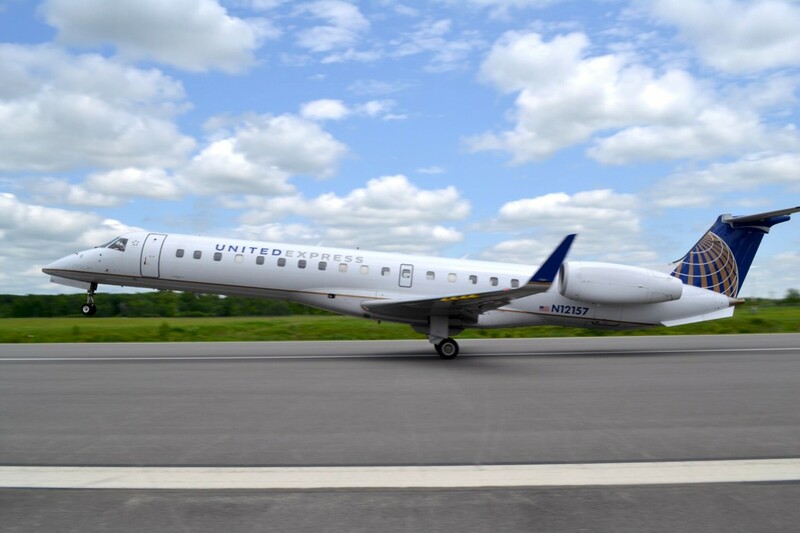 Starting October 4th of 2018, United Airlines is implementing a new, nonstop flight service to Washington Dulles International Airport (IAD) from our very own Ithaca Tompkins Regional Airport (ITH)! With quicker connections, more dependable service, and direct flights to the largest airport in D.C. and one of the largest international airports in the U.S., you can now get where you need to go easier, faster, and straight from Ithaca, NY. This new service to Washington Dulles International Airport will be extremely beneficial for residents within the Ithaca and Upstate New York areas. Students from Cornell University, Ithaca College, and Tompkins Cortland Community College will be able to get home more conveniently during school breaks, and business travelers will have more convenient connections! Whether you’re on vacation, visiting D.C., or traveling internationally, Central New York and the Southern Tier residents now have direct access to this new service in Washington. Not only will the Washington Dulles service provide quicker and easier connections to larger cities, it is also more reliable. Through Washington, the on-time flight performance is 50% better than at Newark Airport; this means less missed connections and higher reliability for all of our customers. Mike Hall, the Airport Manager of ITH writes, “Our current air traffic between Central New York and Washington is more than double that to all three airports in the New York area.” We have a high demand for this new, nonstop service and we want to fill the needs of our customers in the Southern Tier Region. Not only will those planning trips be able to directly to Washington, D.C. faster than ever, this new service will also lead to increased connections with United destinations. IAD has popular connections both within the United States, as well as internationally, including Los Angeles, Denver, London, and even Hong Kong! With hundreds of flights departing each day, you’re bound to find the perfect connecting flight for your needs. These connections will help passengers travel between Ithaca and D.C., whether it’s to get home for the holidays, meet with a business client, or anything in between. Start making plans to visit Washington, D.C., book your ticket back home, or schedule a business meeting with the hundreds of connections through Washington Dulles International Airport! Despite the service starting in the beginning of October, you are able to pre-book your tickets now at: united.com/ual/en/us. ITH is as excited as you are to implement such an outstanding service for our customers!